First wave of artists announced for Magnetic Fields Festival 2014 | WhatsTheScene? After making an impressive debut, Magnetic Fields returns to Alsisar Mahal, a 17th century palace, with the promise of the freshest sounds from India and around the world and an immersive experience for the music fan this December. The three-day music and arts festival – to be held over December 12, 13 and 14 later this year – with its blend of heritage arts mixed with contemporary culture was hailed for its curated approach to music, design and production and continues with that trend with the first wave of artist announcements. After introducing attendees to varied artists like Charanjit Singh, V.I.V.E.K and Robot Koch in its debut year, the second edition of Magnetic Fields will host a mix of the freshest Indian sounds accompanied by some of the most exciting underground international stars – dance acts who will dictate the sounds of the future. Exciting new Indian acts such as Begum, Nicholson, Soulspace, and a special Bhavishyani Future Soundz showcase are set to share stage with dream pop Parisian producer Dream Koala, British garage house DJ/producer Flava, Spanish electronica whizkid BeGun in the December festival. Among the Indian performances slotted on the bill is an exclusive festival set by Dualist Inquiry, Monica Dogra as a solo performer, a full-festival showcase by the Mumbai-based Bhavishyavani Future Soundz collective featuring M Mat, Loopkin and Spacejams, the mellifluous pop artist Nischay Parekh with drummer Jivraj Singh, who will also be playing with the Kolkata-based experimental electronica outfit, Pinknoise, a full live show by singer-songwriter Nicholson, Delhi-based electronica producers Soulspace and Curtain Blue, newly-formed dreamy psychedelia band Begum, Delhi Sultanate’s new solo avatar BassFoundation Roots, ‘noise’ rock band Hoirong and Bangalore-based downtempo duo Sulk Station, who will finally make their Magnetic Fields debut after missing out last year, and post-rock band Until We Last, also from Bangalore. The international artists at Alsisar Mahal this year will include some of the most exciting names from alternative dance music genres. Dream pop producer and 20-year-old Parisian Dream Koala joins highly-regarded Spanish electronica whizkid BeGun, London-based Sri Lankan-born garage/ bass producer My Panda Shall Fly who also played at the Magnetic Fields pre-party in London in July, young British garage house producer Flava D, German techno exponent Pawas, London-based hip-hop and funk legend DJ Vadim, multimedia artist and producer Zahed Sultan and singer-songwriter Graciela Maria, who has worked with Koch and the founder of Reggae Rajahs and a popular face in India DJ MoCity, who now lives in Dubai. More artists – both Indian and international – will be announced soon. Like last year, the theme that will extend to a variety of carefully constructed spaces including the two main stages – the North stage (night stage), and the South stage (day stage). Alsisar Mahal will hear the strains of music round the day as acts are slated to perform during the afternoon on the lawns before curtains open on the South stage. The music on the night stage is programmed to go on till late into the night and for those unwilling to call it a night, Magnetic Fields also features dawn-breaking, pop-up parties throughout the 3-day festival experience. For those who find it difficult to leave a bonfire and the comfort of their tent, the campsite this year will also have its own lounge. 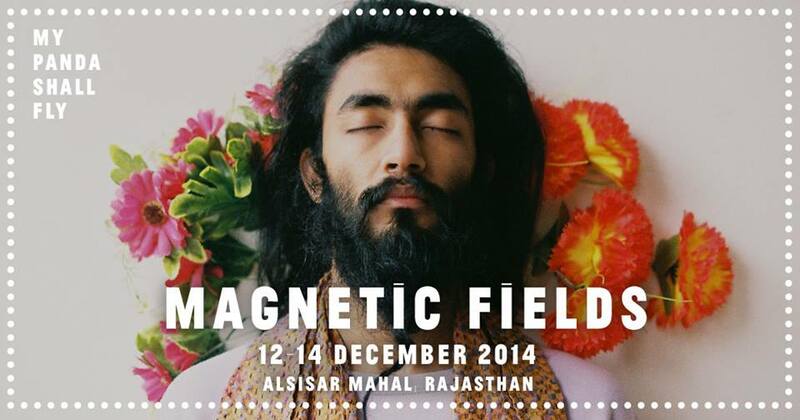 Tickets for the December festival will be available on www.magneticfields.in and will announced shortly. The festival, like last year, is limited capacity, and keeps its promise of an immersive, curated festival experience, unlike any other on the Indian circuit.